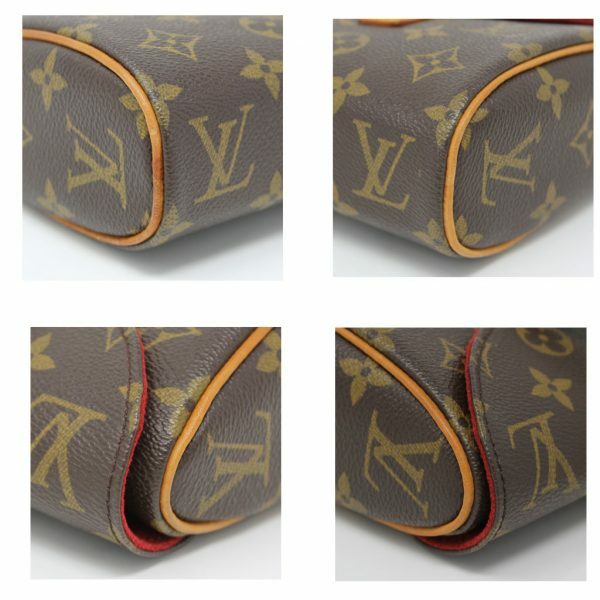 Condition You’re viewing this authentic Louis Vuitton Sonatine Monogram Clutch Handbag. 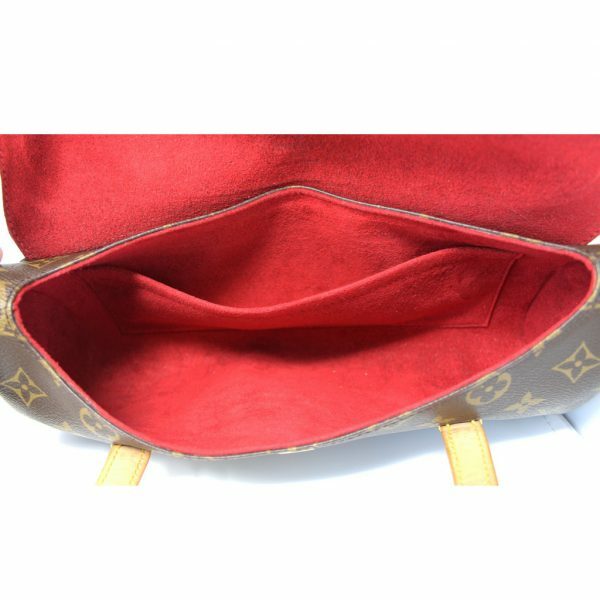 This purse is in great condition! 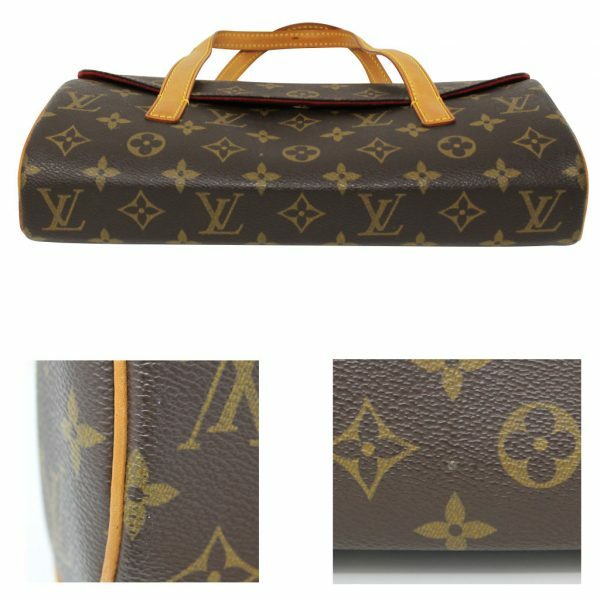 The beautiful monogram canvas exterior has been well kept with only very minor signs of wear. 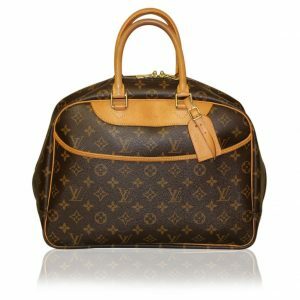 There is one tiny stain on the front of the purse close to the bottom of the bag. This can be seen in the pictures listed. 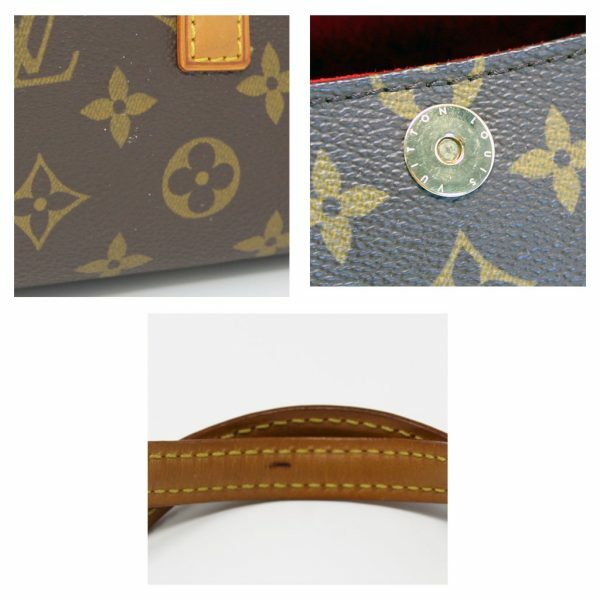 There are faint white spots on the monogram canvas and scuff marks along the bottom corners of this purse. The cowhide leather trim shows visible discoloration and staining. 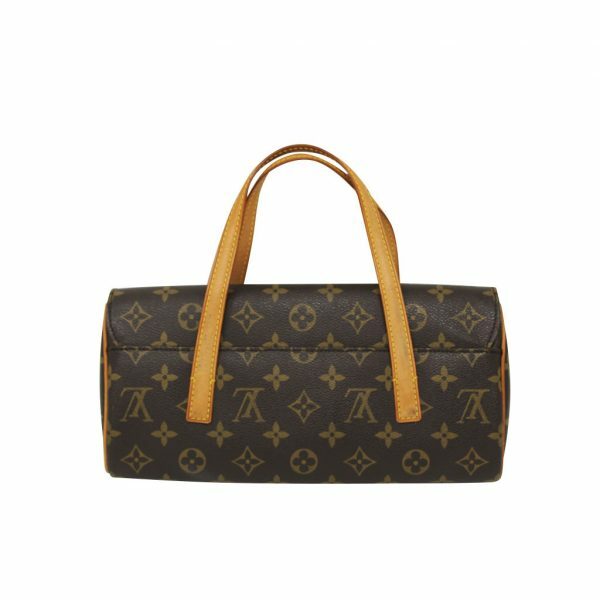 There are no rips or tears on the monogram exterior. 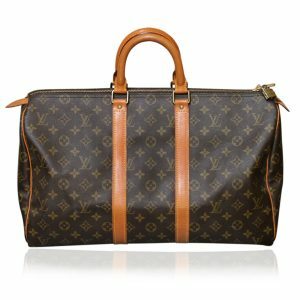 The cowhide leather handles have a drop of 4 inches and show visible tanning. There is also a black mark on the bottom of the handles which can be seen in the pictures listed. 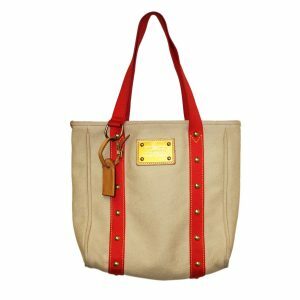 As you open the front flap of the bag you will see the beautiful red microfiber interior lining. 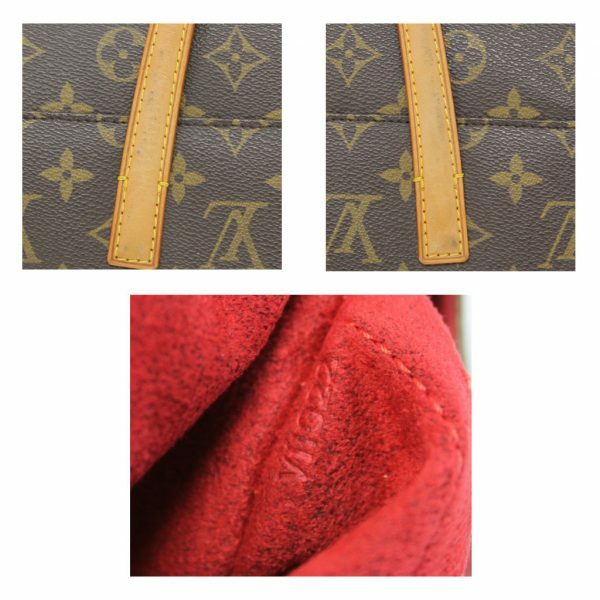 The lining is in excellent condition with little to no signs of wear. 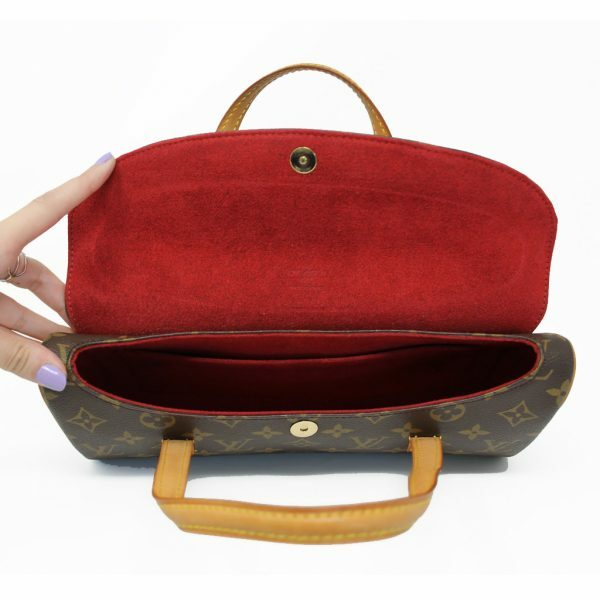 There is one small pocket compartment in the interior that is in excellent condition as well. 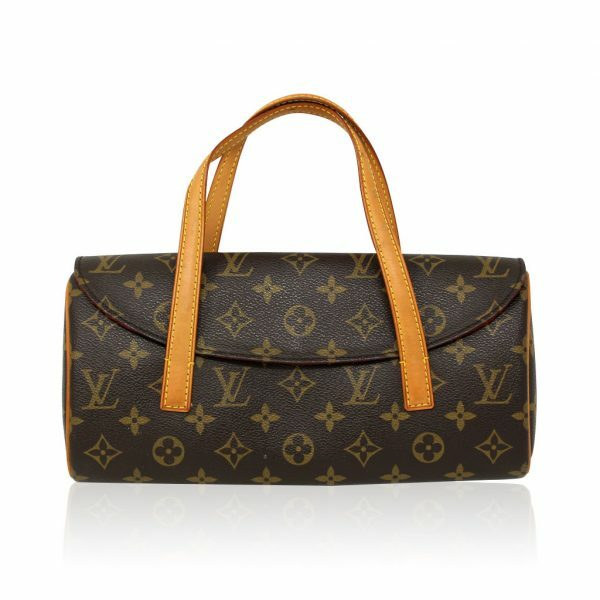 This is a perfect everyday little clutch purse. There are no foul odors on or within this purse. 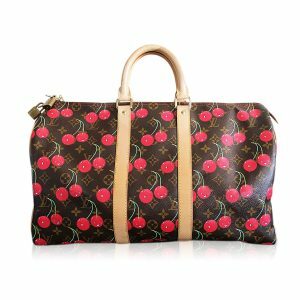 Add this purse to your handbag collection! Buy it now or make us your best offer.